QUICK-QUOTE SIGN PRICING SPREADSHEET(see picture of program below) Now includes our free Sign Shop Marketing Guide ! Note – Sign Calc prints quotes and invoices whereas Quick Quote does not. However, Quick Quote pricing is more detailed. This program is available as an INSTANT DOWNLOAD and is easily installed and ready to use in minutes. Along with the program are instructions on how to install and use the software and how to easily edit data to customize the program to your market. This is a program that no sign shop should be without. The cost of the program is $24.99. When you order online with paypal you will immediately be sent to a folder that will contain the zip file for the program. Simply download the file to your desktop and extract it and you are ready to start pricing signs. As a bonus, when you order our Quick Quote spreadsheet you will be able to download our Signcalc spreadsheet for free! There is no need to order both. If you have any questions you can email me at steve@reflectivestore.com or call 850-934-3157. After paying your will be taken to a download page where you can download the Quickquote and Signcalc files. -New easier to use layout. We have updated the layout to make Quick Quote even easier to use than before. The program runs on Windows 95,98,2000,XP,Vista or Windows 7 and will run on a Macintosh if the Mac has Excel installed. Windows users do not need Excel since the package comes with a shareware spreadsheet reader for Windows. -New sign categories. We now have more sign categories as well as an additional line labeled “other” that can be used for an additional category of your choice. Everything is already set up. Just enter the type of sign and then enter the factors for that sign in the input area. Takes only seconds. -Letter size calculator designed to calculate the size letter needed for maximum impact. You simply enter the distance that the reader will be from the sign and the program gives you the minimum letter size necessary and the size needed for maximum impact. -Marketing Effectiveness Analysis Module. Enter the number of people who found you using the yellow pages, newspaper, word of mouth, signs etc.. and the program will give you the percentage of your total traffic that each category brings in. This is a great tool when budgeting your advertising dollars. -Labor Plus Materials Calculator. Using this calculator you can quickly price literally any job. All you need to know is how much your materials will cost you and how many minutes it will take you to do the job. The spreadsheet applies a multiplier to the materials and adds a labor charge to arrive at a final price. It is a fool proof pricing method. I use it as a backup for anything that cannot be priced using square foot values. One of the most tedious tasks in signmaking is the calculation of prices for customers. While the customer waits the signmaker has to fumble through little books and use a hand calculator in an attempt to calculate a price. If the customer then asks for the sign to be priced a different way, they have to go through the whole routine again. Often this process makes the signmaker look uncertain of themselves. Additionally, prices are often quoted too high or low resulting in either a lost customer or lost money. We have developed an easy to use sign pricing program that makes pricing signs, banners, vinyl lettering jobs and digital printing work as easy as 123. To use the program you simply enter the square footage of your sign or the number of letters you are cutting and let the program do the rest. The program will price a specific sign 5 different ways for you. For digital prints or vinyl graphics you simply enter the dimensions of the print or graphic and the program will price the graphic 7 different ways instantly. The program takes only seconds to pull up and only a split second to calculate a sign price. Best of all the program allows you to edit prices to match your market. The default prices in the program are taken from national averages. The software is broken down into 4 sections; most common signs, vinyl lettering, graphics and artwork, and digital printing. Within these sections each sign type is priced instantly several ways giving you all the information you need to quickly respond to your customer. The program is written using an excel spreadsheet format so the user can see everything that is going on at one time. For example, when you enter the square footage for a banner you are instantly given the price for that banner using 10 oz material, 14-15 oz material, double sided material, installed, uninstalled, with one color, with two colors, or with drop shadows. When you enter the number of letters you will cut in the “vinyl letter section” of the program the software instantly calculates what to charge when applying those letters to a vehicle, a boat, a storefront, or what to charge for just the letters. It also makes allowances for high performance vinyl and on location installations. Because of the spreadsheet design you can view all these prices at the same time making it easy to compare rates. 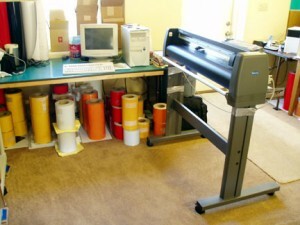 Cutting graphics, artwork and printing digital prints are handled the same way. Please note that nothing but Windows 95/98/2000/XP/Vista/Windows 7/Windows 8 is required to open and use this program. All the necessary software to run and edit the spreadsheet is included. Since the program is written in Microsoft Excel/Lotus 123 format it can be easily added to , edited and modified in an infinite number of ways. Unlike other programs, if you don’t like the way something is calculated or the way something is set up you can easily change it. If you read through a basic book on Lotus 123 or Microsoft Excel you would have no problem editing this program to suit your needs. It is a very practical program that I use everyday in my shop. If you do have Excel on your computer then you would use that to open the spreadsheet. Also, you can go to docs.google.com and use google’s free spreadsheet software to open the quickquote spreadsheet. If you use the google system you will be able to access the spreadsheet no matter where you are. In this series of articles we cover the steps you will need to take to start and operate a successful vinyl graphics sign shop. This is a profitable business and well within the reach of any motivated person. Profit margins are high and business is not difficult to get. Like any business it takes time to get things started and there are some mild capital barriers in the beginning. The rewards, however, are limitless and a good sign business can support you and your family for the rest of your life. The work is enjoyable as are the majority of the customers. I am in this business and highly recommend it. Good luck. Here is a good video that gives you an overview. It is by Sign Warehouse. They have a large variety of equipment and supplies. When starting a sign business of any type of business, your first decision will be what form of business to choose. There are four basic choices, a sole proprietor, a partnership, an LLC (limited liability company) or a Sub Chapter S Corporation. In this article we will cover the basics of all these business forms and list the pros and cons of each. The first form of business that you can choose for you sign company is a sole proprietorship. Many businesses start out as sole proprietorships because it is so simple to form one. In most states and counties you only need a business license and a checking account. A proprietorship has one owner who makes all decisions and who is personally responsible for the liabilities of the business. For tax purposes you and the business are one in the same. The advantages of a sole proprietorship are that it is easy to set up without the help of an attorney or accountant. You control everything and keep all profits and taxes are relatively simple. On April 15th you simply file a schedule C along with your personal return. Most tax programs include this at no additional charge. If you wish to close the company it is fairly easy and straight forward. Sole proprietorships do have some disadvantages. All liability falls on the owner personally. If the business incurs a liability from a lawsuit the owner would be personally liable. Although a liability insurance policy can help cover this, it is something to consider. There are some tax disadvantages as far as social security is concerned but like all companies you are able to write off things against business income that you normally would not be able to write off. Lastly, a sole proprietor will generally be taken less seriously than an LLC or Corporation. Also, audits by the IRS may be a little more frequent for this form of business. The second type of business form is a partnership. Partnerships are just like sole proprietorships but with more than one person. There is a need for a partnership agreement which may require an attorney. Profits are split as is the decision making process. Liability issues are the same and one partner can create liability for the other through negligence or bad decision making. The main disadvantage is the lack of control by any one partner which can lead to slow decision making or conflicts within the company. For tax purposes the profits of the business flow equally to your 1040. This form of business is simpler to form than a Sub S Corporation or LLC but the potential problems may offset the advantages. I would recommend a partnership only in situations where each partner brings something to the business that the other cannot. If you can avoid having a partner then I would. If you are going into business with a spouse then that is fine. But you can do that using an LLC or Corporate structure as well. The third type of business I want to cover is an LLC or Limited Liability Company. This is a relatively new form of business and is available in almost every state now. Once you form the LLC you can elect to be treated for tax purposes in several different ways. The LLC basically protects you from liability. The LLC is designed to provide the limited liability features of a corporation and the tax efficiencies and operational flexibility of a partnership. Forming an LLC is more complicated than a general partnership or sole proprietorship but normally easier than a Sub S corporation. The last form of business is called the Sub Chapter S Corporation. It is actually just a C Corporation that has filed for Sub S treatment by the IRS. This means that profit passes to your 1040 via a K1 and is not double taxed. Many business owners prefer this form of ownership because of the limited liability it provides as well as the tax savings. The corporate protection means that the shareholder is not personally liable for what the corporation does. In the case of negligence, however, there would be no protection for the individual who was negligent. To further illustrate this liability shield assume an employee borrows a company car and injures someone while they are under the influence. The employee would be personally liable since they were negligent and were driving the vehicle. Secondly, the corporation would be liable since it is the owner of the car. Lastly, the shareholders of the company would not be liable personally so their personal assets would not be at risk. As far as taxation goes a shareholder can take a fair salary for what they do in the company and take the rest of earnings in the form of a draw. If the salary was fair and reasonable by IRS standards they can save social security on the draw portion. If it is not reasonable the IRS can require that the shareholder pay social security on all earnings and even go back to previous years. The general rule it to pay yourself a fair salary before you take draws. You would receive income into your 1040 via W4 earnings and a K1 at the end of the year which would cover the draws and any excess income. Once you have made the decision to start a sign shop you will need to begin thinking of a name. The name you choose for your sign company or vinyl graphics sign shop is very important. It is the first impression that people will have of you and your business and it should state what you do. Second, it is how people will remember you and contact you in the future so it needs to be easy to remember. Choose wisely because changing it can be costly later on. If you are forming an LLC or Corporation then you need to search your states corporate records to make sure the name you want is available. For a sole proprietorship or partnership you would do the same thing but would search fictitious names with the state. Make a list of possible names and then begin your search. Most states have a website that you can search on to determine availability. For sole proprietorships many people use their name plus “Signs”. For example, John Smith Signs. In many cases, using your own name will keep you from having to file for a fictitious name. As stated before, your company name should clearly project what you do, it should be easy to remember and should sound professional. Long, complicated names often hinder your businesses success. When choosing a name, it is also important to keep in mind that most listings are alphabetical. Therefore if you choose a name like “Zebra Signs”, you will always be last on the list. If you choose “AAA Signs”, you will always be first. Search the internet for sign company names. If you are in Florida and someone is California has a name you like you can most likely use it because you are in different states. Lastly, if you can find an internet domain name that matches your company name that is optimum. It is a great way to promote your business and will build name recognition for you. If your shop is Bob Smith Signs then owning bobsmithsigns.com will be a plus. There are pros and cons to running a sign shop out of your home. In this article I will go over these and in the next article I will go over the pros and cons of a free standing retail sign shop. Another advantage of working from home is the ability to work longer hours without it seeming like work. You also reduce travel and meal expenses. If you have children or are a stay at home parent then a home based sign shop is the perfect solution. For taxes, you are able to write off home office expenses and other items that you may have not been able to write off previously. This can be especially helpful if you have another salary and want extra income without being pushed into a higher tax bracket. You need to be reasonable about what you write off but the best rule that I have found is that if the expense is necessary for the operation of your business then your business should pay for it. One thing you are going to need to establish up front is where you are going to put your shop. Since customers will inevitably come over now and then it needs to be a place in your home that you can meet with them. It also have to have enough square footage to hold your equipment and a work area. Don’t skimp on logistical efficiency. Make everything as easy on yourself as possible. I have a shop upstairs and if I kept anything needed for signs downstairs that would double my work needlessly. Also, consider how you would expand your shop if that became necessary. A portable building is often a good solution for a shop. It does not have to be unattractive and can be converted to another use should you sell your business later. If you are looking for a place to live and at the same time are wanting to start a sign shop then do this. Check with the county or city and find out the zoning for different areas. There are some areas that are zoned to where you can live on the property and also work there. These locations are often undesirable for living but not always. Larger lots with the house set back from the road make great home / commercial locations. Not everyone can find this situation but for those who can you can have the advantages of a home based business and the advantages of a free standing store all at the same location. In conclusion, choose the option that best fits your goals. Keep in mind that if you are home based then you can always expand to a retail location. If you are in a retail location you can move the business to you home. I moved mine to my home and although sales of signs have dropped, the drop in expenses has also dropped and been more than an offset. The nice thing about the sign business is that you have the flexibility to make this kind of choice. 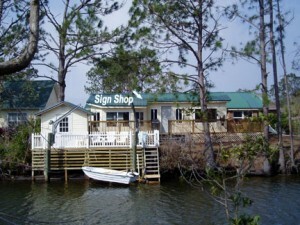 The most common type of sign shop will be the retail stand alone location. There will be several of these in almost every town and most people know where at least one or more of them are. This brings me to the first advantage of a retail location, visibility. Increased visibility can bring in thousands of dollars in business to your shop without you having to pay extra for it. In other words, your location will bring you business and that is worth real dollars in revenue and advertising savings. Look at it this way. If you pay $1000 per month for a nice location and that location brings you extra business in the amount of say $2000 per month then the location has paid the rent for you. Now there are other expenses that we will cover later on but this is the general idea. You can open up in a good location and have customers the first day. If you opened in your home you may have to wait a week or so to get the first call. It is also more professional to have your own location provided it is nice. Also, if you wanted to sell your sign shop it would be easier if were at a retail location. Now for the bad news. Retail locations can be incredibly expensive. Your breakeven point will go up considerably as will your chances of going out of business. Unlike a home shop you will have a separate bill for everything. A bill for power, water, sewer, rent, insurance, phone and internet. The bottom line is that you have to make sure you pick a location that will make paying for these things worth it. Choosing a location is very important and takes time and research. It is possible to rent a location and receive no visibility benefit from it. If you rent off the beaten path this will be the case. Once you establish yourself in a retail location you do not want to have to move. It is a lot of work and you lose a connection with your customers until they get used to your new location. More bad news. A retail location is a lot like going to a regular job everyday. You don’t really set your own hours and you lose a great deal of freedom. Also, walk in customers are great but they also break up projects that you may be working on. If you are by yourself and have a lot of walk in traffic you may not have time to make a sign. If you have kids in school you will have to find a place for them to stay until you get home. As your sales increase so will your work day. Hiring employees will solve some of these problems but employees are an expense that must be covered with increased sales. All of these factors will affect you especially in the beginning. Now some good news. A retail location has more room for expansion and if you are planning to take your sign business as far as you can go with it a commercial location is most likely the best choice for you. Your sales will almost always be higher than a home based shop and as people become familiar with your location you can cut almost all advertising. If you have trusted employees you will get a lot of your time back. 1. Check traffic counts on different streets around your area. High traffic counts are good to a point and low traffic counts are bad. You want people to see you. 2. Check ingress and egress. This is a fancy way of saying getting in and out of a location. If people have a problem getting in and out they will tend to avoid your location. Think of where you like to buy gas. You most likely buy there because of price and ease of access. 3. Check visibility from the Road. People have to be able to clearly see you. A location that allows you to have signage is a big advantage. 4. Check for parking. Once people get to your shop they have to be able to park. This may seem trivial but if they cannot park they have to leave and come back later. 5. Check out the actual building. Is the building modern and nice. Is it secure and dry. Is there room for expansion. Does it have facilities. 6. Check out the neighborhood. Is the surrounding area upper class, middle class or otherwise. Will you be safe working at night there. Are the people who pass by likely to need signs. If the area in a state of decline or is it improving. Are there any pending projects that may affect you. Some people start out at home and then expand to a retail location and some do the opposite. As your sign shop evolves you will know which way you want to go. The nice thing about the sign business is that because of the different directions you can take it you will in the end have the type of shop that you are most comfortable with and fits you and your lifestyle. 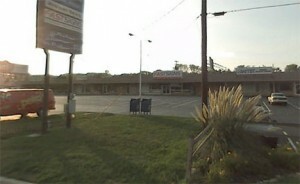 -A good business plan gives your sign business a specific path to follow. It will help you create your business the way you want it to be. -A good business plan can communicate your business strategy to your employees and customers. It can establish your plan for the company and will let you to measure your progress using your plan as a benchmark. -A good business plan can help you grow as a sign business owner by helping you in concentrate on things like competition and growth opportunities. It will force you to change your though process from that of a standard consumer to that of a business man. -A good business plan provides your lending institution or partners with insight into what your goals and objectives are. -A good business plan prepares you to manage your business, rather than letting your business to manage you. -A successful business plan sets realistic goals, is factual and objective, and presents your goals in measurable terms. Your business plan should answer the following questions. -Why will they purchase your product or service? -What is your marketing plan? -Who are your competitors? What are their strengths and weaknesses and how will you compete with them? -Which of your management skills are weak. How will you compensate? -What are your current financial resources? -What is your projected financial condition of your company over a set period of time! As stated before there is no one “correct” format for a business plan. However, most effective business plans include the same basic information. More important than a specific format, however, is your ability to present your ideas in a clear and concise manner. Many people would like to skip having to write out a plan but doing that is like leaving on a trip with no map, no compass and no directions. You simply do not know where you will end up. Before you begin the process of raising capital to startup your new venture you need to estimate how much money you are going to need. To help you do this, I have compiled a list of the basic equipment that you will need to make signs and operate your shop along with the approximate price. The list below would be the basics for a home sign shop. If you are going to have a free standing retail location you will need to add the following expenses to your list. The amounts are just estimates. To be on the conservative side, you should also add to this list a reserve for you to live off of while you are getting things going. If you have a second source of income this may not be necessary. The main goal is to forecast everything and allocate for it in advance. SIGN-CALC SIGN PRICING SPREADSHEET (see picture of program below) Now includes our Sign Shop Marketing Guide ! The cost of the program is $24.99. When you order online with paypal you will immediately be sent to a folder that will contain the zip file for the program. Simply download the file to your desktop and extract it and you are ready to start pricing signs. If you have any questions you can email me at steve@reflectivestore.com or call 850-934-3157. After paying your will be taken to a download page where you can download the Sign-calc files. This program was written to provide Sign and Vinyl Graphics Shops with a tool that will allow them to price, quote and invoice jobs using one simple program. This is a spreadsheet based program that is simple to use and simple to edit. The program comes with prices based on national averages already entered. However, these prices are easily increased or decreased based upon your market. The program takes the amount you enter and calculates a price and then automatically transfers the pricing information to a proposal page and an invoice page for easy printing. (see picture below) To use the program just extract all the program files into a directory on your desktop and open the signcalc.xls spreadsheet file. Then to set the program up you simply update the prices and put in your company information. After you do this you save the program and you are ready to start using it. Also, the spreadsheet has line items called other that can be renamed to any other service you provide. Other categories can also be easily changed. An image of the program can be seen below. The image displays all three pages of the spreadsheet at one time. In the program the three pages are accessed one at a time by clicking on a tab at the bottom of the page. As you can see it is a very easy program to use. The spreadsheet can be opened using the freeware spreadsheet reader provided with the package, Excel or Lotus 123. I recommend either the free reader or excel. It runs on any Windows 95,98,2000,XP,Vista or Windows 7 or 8 based computer. It also runs on MAC machines that have excel installed. To use the program you simply fill in the blanks on the data entry page with information pertaining to the customer and the job. The program applies your pricing to the data you put in and AUTOMATICALLY transfers it to the proposal page (page 2) and the invoice page (page 3). At the bottom of page one (data entry page) you will see that the program also gives you the opportunity while you are pricing to apply an additional discount. This is a useful tool that lets you lower a price without having to go in and change your rates. I find this to also be a good marketing tool. Keep in mind that you can print only the page you want. If the customer does not need a proposal you would just click on the tab for page 3 and print the invoice only. This is what I normally do. The proposal page is great for when you need to bid a job. As I mentioned before the program has line items marked “other” that can be changed to anything you wish. Other categories can also be renamed very easily. As you enter customers, you can save each spreadsheet using that customers name as the file name. This gives you a permanent record of the job. This is very useful for marketing purposes. Also, if the customer needs your services again, (and they will) you will already have their information on your computer. I have tried to make it very flexible. I also include a separate spreadsheet file that contains BLANK proposal and invoice pages that you can print and keep with your for times when you do not have access to a computer. I have provided a good image so that you can see for yourself what the program looks like and what it offers. The program saves me a lot of time and keeps me much more organized. I am the creator of the spreadsheet and I support what I sell. If you have any suggestions for improvement to the program please let me know. Also, keep in mind that when you buy this spreadsheet you will get our Quickquote spreadsheet also at no additional charge. The picture below shows all three sheets of the spreadsheet. The first is the data entry sheet. You access the other two by clicking on tabs at the botton of the spreadsheet. The 2nd and 3rd sheets are filled out automatically. In the previous article we discussed how to estimate your startup capital needs. Having adequate financial resources to fund your equipment and startup expenses can make the difference between the success and failure of your business. Making unrealistic assumptions about finances is a very common mistake that new businesses make. It is foolish to just assume everything is going to work itself out. This seldom happens. Almost all successful businesses were backed up by a good plan and adequate financing. A simple process of estimating your capital needs ahead of time and planning on how to fund them can eliminate a lot of headaches later on as your business begins to grow. Capital requirements for a sign shop are relatively small so raising the capital needed is not an impossible task. Personal savings is best but short term financing is normally adequate if you must borrow. A personal note, a credit card or a home equity loan are suitable ways to capitalize your business through debt. If you plan to start a larger company that will have larger financial needs, you will need to find larger financial resources. Three options are bank financing, a partner, or a venture capitalist. Make sure to set aside enough money in your business account to pay business related bills for several months while you work to turn a profit. Also, make sure you have adequate personal savings to pay your household bills until your company can start paying you. Keep in mind that this can take several months and even then you won’t be drawing a huge paycheck. It will be a gradual process. Planning ahead can keep surprises to a minimum. After you have raised the money necessary to start your sign business you are going to need a commercial account to put the funds in and pay bills from. Your checking account account will be the main source of information for your accounting system. In the beginning the source of all deposits will be from start-up capital. This amount will be classified as paid in capital or loans to the company on your balance sheet. All deposits after that will be from sign jobs completed. This amount will be classified as sales or revenue on your profit and loss statement. Checks written will be the expenses of the company and also your draws. These amounts will be recorded as expenses or owners draws on the income statement. The amount left over plus owners draws will be profit which will flow to your personal tax return. As you can see, entries in your checkbook are important. They should be described accurately and if possible pre-classified into certain expense categories. A three check per page book is recommended. It will include a section for writing what the check was for, who it was to and the amount. Like the one below. Since you will use your checkbook as a source of data for your accounting and taxes, you need to have some detail written on the stubs and also the information line on the checks. Relying on memory is not a good idea. As you write a check you can code the stub with a category so that you can rapidly go through the checkbook and categorize expenses for tax purposes. A large checkbook makes this easier. My checkbook is 9.75 x 13.75 inches and has 7 rings to hold the checks. It is tough and will hold other paperwork as well. The account you open should be a commercial account. Be careful about opening an interest bearing account because these accounts often have limitations as to how many checks you can write. Whichever account you choose, make sure the fees are fair and that there are no constraints that may adversely affect you. All businesses should have some kind of bookkeeping system. If your company is not going to borrow any money, you do not have to pay to have quarterly or annual statements prepared but you will need a bookkeeping system that will allow you or a bookkeeper to prepare you taxes. Many companies use their checkbook as their bookkeeping system. A balance sheet shows what the business owns (assets) and owes (liabilities) at a particular point in time. It may also be viewed as the statement which shows the sources of funds (liabilities and equity) and the uses of those funds (assets). The profit and loss or income statement shows the flow of income of the business relative to its expenses for a given period of time. These statements can be prepared monthly, quarterly, or annually depending on your needs. TIP – As stated in our article on setting up a commercial checking account, your checking account can double as your basic bookkeeping system for use during the year. Make sure everything you spend or make goes through your checking account. Make good notes about your deposits and expenses. If you purchase equipment, make a note of the type of equipment purchased, as well as, the price. At the end of the year when taxes are ready to be calculated you can either do them yourself or give your checkbook to a bookkeeper and they can do your tax returns for you. Many small businesses need only a fully documented checkbook and an annual tax return. The tax return serves as the income statement and the balance sheet. A business license is required in almost every state. These are normally acquired through a county office. The cost is normally anywhere from $20 – $50 renewable annually. If you operate without a business license the county or state can fine you. You will need to post your license in a prominent place. If you operate from home you still need the license. Most states also require you to have a Sales Tax or Resellers Certificate. This does two things for you. Number one, it lets you purchase things that you are going to resell sales tax free. This applies only to materials that will go into your signs and be resold to a customer. Your computer or vinyl cutter does not count and is taxable. The second thing the certificate does is allow you to collect sales tax from the customer and remit it to the state. Sales tax will apply to all customers except those who are tax exempt for some reason. If a customer is tax exempt they will provide you a copy of their certificate, which you need to keep on file. A sales tax or resellers certificate is not something that you want to try to bypass. If you are required to collect sales tax then you need to have it. The penalty is more severe than not having a business license. Also, a sales tax certificate normally does not cost anything. As far as other permits go I do not know of any additional ones that a basic sign shop must have. If you are a corporation then you will have a federal tax id number. If you hire employees you will have an EIN number which is often the same number as the federal tax id. The best way to decide what type of insurance you need is to first determine what type of risks you have and then find out what types of coverages will offset that risk and what they will cost you. There are two basic types of insurance. One pays for damage that other people, accidents and acts of God can do to your property. The other pays for damage you may do to other peoples property. Keep in mind that you can’t offset every risk with insurance and that sometimes a policy can cost more than the risk it covers. It is up to you as the business owner to assess all risk and cover what you feel is prudent. For some industries liability insurance serves two purposes. Number one, it provides real coverage for possible liability that a company may incur. Secondly, it allows a company to bid on jobs for customers that require their contractors to have liability coverage and without it they would be barred from bidding on these jobs. For sign shops that do not do installs the advantage of liability insurance is going to be minimal. In other words, if you do not engage in activities that can create liability then a liability insurance policy has nothing to cover. Also, for shops like this, customers seldom ask if you have liability insurance. If you are a sign company that DOES go onto a customers property to install signs and you DO use equipment that can harm the customers property or other people then you DEFINATELY need liability insurance for both the first and second reason above. If you hurt someone with your equipment and you are uninsured a lawsuit can easily put you out of business. Also, most larger companies will require you to prove you are covered. This is a general business policy that covers a variety of risks that shops may incur. Some of these are theft, vandalism, copyright violations, loss of income, etc.. Comprehensive business policies also often include a liability portion which as stated above may be of varying value to some shops. For some shops this type of policy is very useful. If you are on the gulf coast where hurricanes are an issue then the loss of income coverage would be valuable. If your shop is in an area where vandalism or theft is an issue then the theft and vandalism coverage would be valuable. Comprehensive blanket policies are a great way to cover all the risks of a particular industry. You may not use all the coverage but the cost is usually very affordable. It goes without saying that your vehicles need to be insured. Most states require this by law. Also, any other types of insurance that are state mandated should be carried. Make a list of all the risks you have. Research policies that will cover as many of these risks as possible at a reasonable price. Purchase what you feel comfortable with and add to that any government or state mandated coverage. One machine every sign shop needs is a vinyl cutter or plotter. These machines are controlled by a computer which we will discuss in a separate article. A vinyl cutter utilizes a very sharp blade to cut into a sheet of vinyl and form letters, numbers, shapes, etc.. These cuts are made to where the vinyl is cut all the way through but the paper backing is left intact. Precise pressure makes this possible. Once the vinyl has been cut the sign maker can peel out what they don’t want through a process called weeding, then transfer tape the rest and apply it to a substrate thus making a sign. Good quality machines do this well. Cheap machines do not. You may save a few dollars on a cheaper machine but you will give it back in extra time spent correcting bad cuts. First, how large will your average sign be? The size of your average jobs will dictate the width machine that you need. If most of your jobs are going to be banners and basic signs then you may not need to spend the extra money for a wide machine. Second, what types of materials will you be cutting? Reflectives, foil based, sand blasting resist, stencils, etc..? Some machines have more pressure capability than others. Also, some utilize tangential emulation which creates cleaner corners for thick material. For example, if you were going to make sand blasted signs your would need machine like the one pictured on this page. It has tangential emulation and a lot of pressure when needed. These two things are important when cutting thick material like resist. Make sure you purchase a machine that will perform clean cuts on all the types of material you will be using. Third, how skilled will the operator be? Some machines are easy to use and have only a few settings. (example – Roland) Some machines have many options and are more complicated. (example – Graphtec) There are advantages to both but one disadvantage is that a complicated machine makes training an operator more important. If you do not need all the features then a simple but rugged machine may be the best option. The machine pictured on this page is a 30″ Graphtec. It has a lot of options and I am always having to find the manual. My smaller Roland 24″ is simple and my son learned to cut with it after about 30 minutes of basic training. Lastly, what is your budget? Your machine has to be rugged and capable. There are a lot of machines that fit this description. Figure out what your budget is and make a list of all the qualifying machines. Then look at the features of each and make a decision. A 24″ machine with a lot of features may suit you better than a 30″ basic machine. Get what is best for you and your budget. We have vinyl cutter/plotter reviews in our “Vinyl Plotter Reviews” category. CLICK HERE. Pricing or estimating what to charge for a sign is a task that you will be faced with on a daily basis. It is imperative that you become proficient at it. The good news is that it is not difficult. You do not need a fancy program or a college course to price signs. The first step in learning to price signs is to understand a little bit about pricing in general. Once you understand how things are priced then pricing signs will no longer be a mystery. In economics 101 you learn that price is a function of supply and demand. The price of anything is basically the intersection of supply and demand for that particular commodity. If you charge too much you will not sell signs. If you charge too little you will not make a profit although you will have plenty of demand. That is where the economic theory becomes a reality. I mention this economic theory because it is the basic building block of capitalism and is what actually sets prices. It keeps everything in check. The first method I want to cover is the labor plus material method. This is a simple method and can be used to price any sign. All you really need to become good at is estimating the time it will take you to complete the job. The materials plus labor method involves taking the total of the materials to be used for the sign and applying a markup. Some sign makers double the materials and some use a smaller multiplier. I normally double mine. (material cost x 2) Once you have this number down you simply need to estimate how long it will take you to make the sign. You need to use a number that would reflect the time it would take an average experienced signmaker to make the sign from start to finish. As you make signs you should record the time for each type of sign. If it takes 30 minutes to create a basic single sided 2 x 8 banner then you would record : 2 x 8 single sided banner – 30 minutes. Once you have estimated how long a sign will take to complete you apply a labor rate to that number. It will be your shop rate which is normally around $50-$60 per hour. As a simple example, lets do an estimate on a 2 x 8 banner. The banner cost and vinyl will be around $20. We double that to arrive at a materials charge of $40. The time to complete is about 30 minutes. The labor charge would therefore be $30. The total for the banner would be $70. Some people wonder why the labor rate is so high. Keep in mind that it is not just your labor the customer is paying for. It is your computer and vector cutter labor as well. Also, as you price this way and record your prices you are establishing a data base that you can use for an even quicker pricing method called rule of thumb pricing. Rule of thumb pricing is a quick way to price signs mostly in your head by using a square foot price derived from the materials plus labor method. For example, the 2 x 8 banner we priced was 16 square feet in size. If you divide 16 into $70 you get $4.38 per square foot. When the next customer comes in and wants a 2 x 8 banner you simply take 2 x 8 = 16 and multiply it by $4.38 or $4.50 if you round up. If the next customer comes in and wants a 3 x 8 banner you take 3 x 8 = 24 and multiply that by $4.50 for a price of $108. This will work for most standard sized signs. I use $5 per square foot but you can use any number you choose. (Remember that the market actually dictates how high you can go.) As a sign gets smaller this method can become skewed and your prices can get too low. Also, intricate signs can be under priced. All you have to do on these type signs is revert to the materials plus labor method. An example of this would be a 1 x 2 banner with 10 words on it. If you price by the square foot it would run $10 which is way too cheap. Material plus labor would be much higher. Probably around $40. This is not often an issue but just keep it in mind as you price. Our Quickquote Sign Pricing Spreadsheet is available as an instant download. CLICK HERE to see it. Owning the best equipment and providing great service is a great start. But to be successful, customers have to purchase your product. The process of reaching out to and obtaining customers is called marketing. Advertising is part of a marketing program but not the only part. Marketing covers everything from product development to following up on a sale. Developing and implementing a good marketing strategy is an important process for a successful business. This process begins as you start your business, and it must remain an ongoing process throughout the life of your business. To be successful you must work out a good marketing plan ! 1. Identify your competition – Research your marketplace and determine what type of competition you have. Pay particular attention to a 2 mile radius around your location. Shops within this area will be your main competition. Determine what each shops capability is and what services they offer. Also, determine what their prices are. (this will help you set your prices) As you do this see if you can identify any gaps in service. Products that customers want but are not available from your competition. Call around and get rates from other sign shops. Find out how they advertise. Check local papers for advertising. Ask yourself why would you or wouldn’t you use them if you were a customer. 2. Identify potential customers – At some point everyone needs a sign and theoretically everyone could be considered a potential customer. However, when developing a marketing plan you need to determine who your primary customer is going to be and how you will reach them. This will be based on the type of customer and their location. (focus mainly on customers that are in about a 2 mile radius) This determination will also depend upon the capabilities of your shop and what types of customers you want to attract. Some examples of customer types would be individuals, real estate companies, small businesses, large companies, government agencies, schools, booster clubs, churches, car dealers, industrial complexes, race car drivers, boat owners, car clubs, etc..
3. Market based on your Specialty – Since you can not effectively specialize in every area of the graphics industry you will have to determine which ones are right for you and your shop given your goals and abilities. For example, if you only have a vinyl cutter then you are not going to be able to service customers who want screen printed signs. Most shops tend to specialize in a certain type or types of signs. For example, some shops do a lot of sandblasted signs while others do laser or mechanical engraving. Others specialize in full color graphics, vehicle graphics, large banners, etc… By specializing in a certain area of your industry you differentiate yourself from your competitors. Decreased competition means increased profit margins. This is also called finding your niche. 4. Prepare your Marketing Materials – At this point you should begin preparing your business cards, flyers, letters of introduction, etc.. You will use these items in varying degrees for all potential customers. Make sure everything is professional as customers will relate the marketing material to the quality of your work. 5. Implement your Marketing Program – When a shop specializes in a particular area they will end up serving two basic groups of customers. A broad group and a targeted group. The first customer you should try to reach is what I call a broad base customer. This customer base purchases the full spectrum of signs and basically includes everyone. To this group you will sell everything from garage sale signs to window lettering to event banners. Marketing for this group is done using a broad approach such as yellow pages, newspaper ads, google local business ads, signs, banners, cards on bulletin boards, etc.. This is often called the shotgun approach. Using this type of advertising will get you a wide variety of calls and you will have to filter the customers based upon your shops specialties. The second group is a targeted group. These are either customers that match your shops specialty or customers that you specifically want to target for other reasons. This would be a customer like a racing team that needed graphics for their cars. Or a real estate agent that needed real estate signs. Also in this group would be any large organizations that you specifically want to reach such as hospitals, schools, factories, etc.. To reach these customers you would use a targeted approach which simply involves more direct contact via cold calling or a marketing package. Think of it as a rifle versus a shotgun. Much more targeted. In summary, a good sign shop will target the types of customers it wants and at the same time utilize broad based advertising to bring in constant general sign work. One is the type of work they want to do and the other is filler work so that the shop is always staying busy. 1. Set up the cutter. To set up your plotter for cutting you simply load the vinyl, make sure it is lined up and hit the button that sets the origin (starting point) This lets the computer know the machine is ready for a job and lets it know where to start. You generally always start at the leading edge of the vinyl either to the left or right depending on the machine. Also, make sure you have enough vinyl rolled out for the machine to feed. Most machines cannot handle the drag of having to pull material off a roll. You have to pre roll it off so the machines just has to roll it back and forth. You only have to make the mistake one to see what I mean. 2. Design the sign in your Vector Graphics Program. In my program you input the size of the substrate that you will be applying vinyl to. For example, if you are making a 2 x 4 banner you would enter 24 inches for the height and 48 inches for the width. The program will show you an area that matches that size. This is an important step because it will assure you that what you cut will fit the banner. Then you simply type in what you want to say, select your font, bring in any graphics, and then send the job to the cutter. 3. Remove the material from the machine after it is cut and weed away what you don’t want. Be careful not to pull up letters that you want to keep. If you do you can put back the one that came off or recut just that letter and reapply before transfer taping. If your machine is set properly, weeding should be fairly easy. If not, it will be difficult. Running a test cut before the main job will let you know if your settings are correct. Refer to your manual for more on this subject. 4. Transfer tape your vinyl. The video below uses clear transfer tape but I prefer the paper type. I have found that the plastic clear tape creates a lot of static and pulls the vinyl to it magnetically before I am ready. I have not figured out how to avoid this so I use the standard paper tape. Once you have transfer taped just trim around the design with scissors. 5. Apply the graphic to the sign, squeegee on and remove the transfer tape. This is the final step. You can use the wet method with no hinge or the hinge method. The wet method involved peeling the backing off the graphic, spraying it with soapy water, spraying the sign, sliding the design in place, squeegeeing, and then removing the transfer tape. The hinge method is where you line up the vinyl letters, tape one edge, fold back, remove the backing, squeegee on, then remove the transfer tape. After this step you are done. The video below will also show you all the steps. Installing vinyl graphics on glass is very simple. The videos below cover application only. We will cover cutting, weeding and transfer taping adhesive vinyl graphics in a different article. The first video below demonstates the process by using an application fluid and the hinge method. The application fluid makes the application process a little more forgiving but remember that since glass is porous, you may have to wait a little while for the application fluid to evaporate before you can remove the transfer paper. Applying dry using the hinge method would be the same process but with the application fluid. The dry method will allow you to remove the transfer tape immediately after squeegeeing. The next video demonstrates the wet application using no hinge. In this video Rapid Tac II application fluid is used. I use this product and it works well. It is also good for cleaning the surface. The nice thing about signs on glass is that you only have to supply the vinyl and not the substrate. Your profit margin on a glass sign is higher because of this.